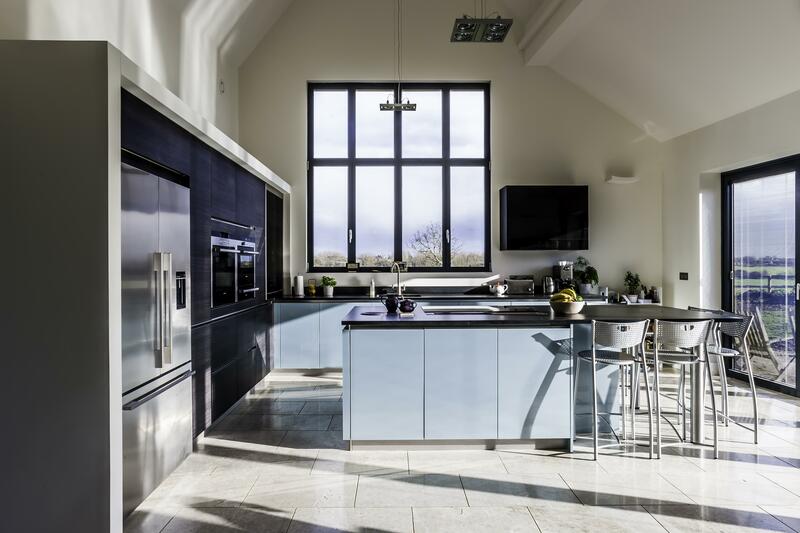 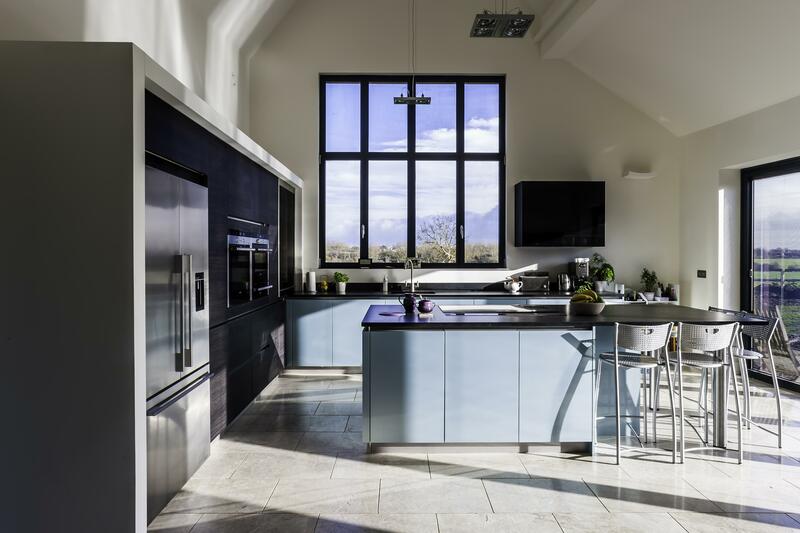 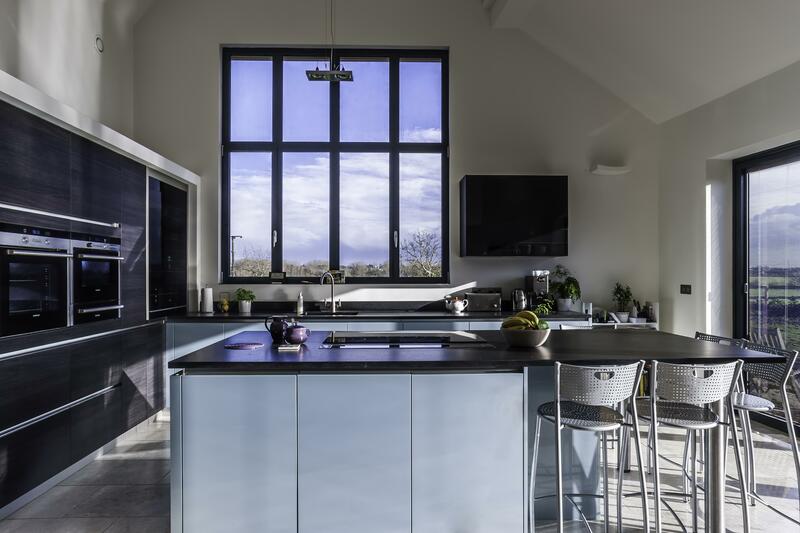 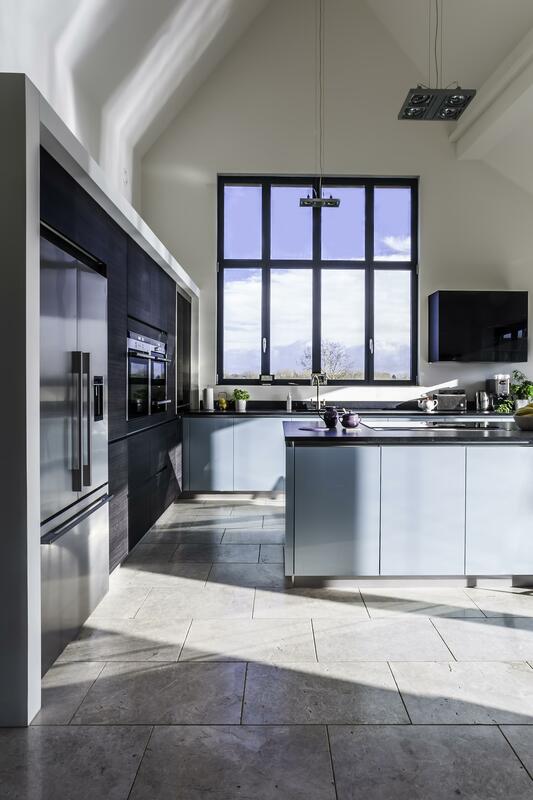 The soft tone of ‘Steel Blue’ cabinetry is combined with ‘Terra Oak’ in this stunning kitchen, creating an effortlessly cool and calming space, mirroring the beautiful surrounding views. 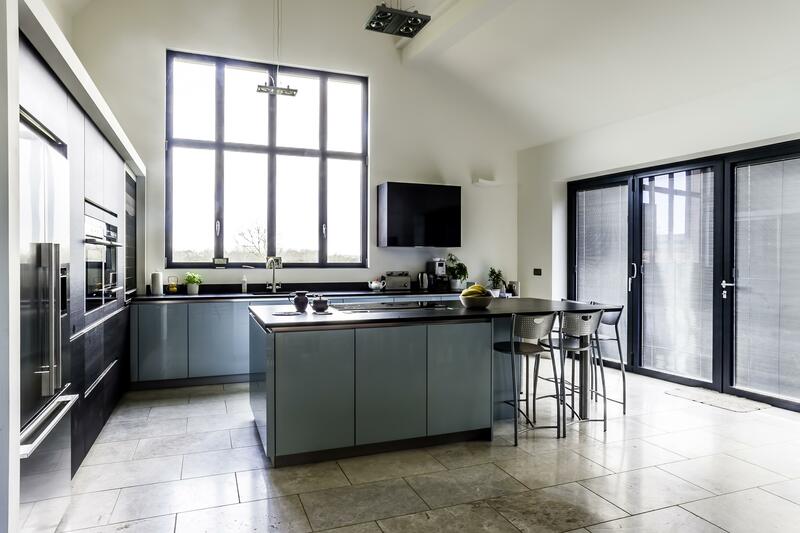 High vaulted ceilings and light flooding in gives a lot of choice when choosing colours and materials, making it a really exciting project for us to work on. 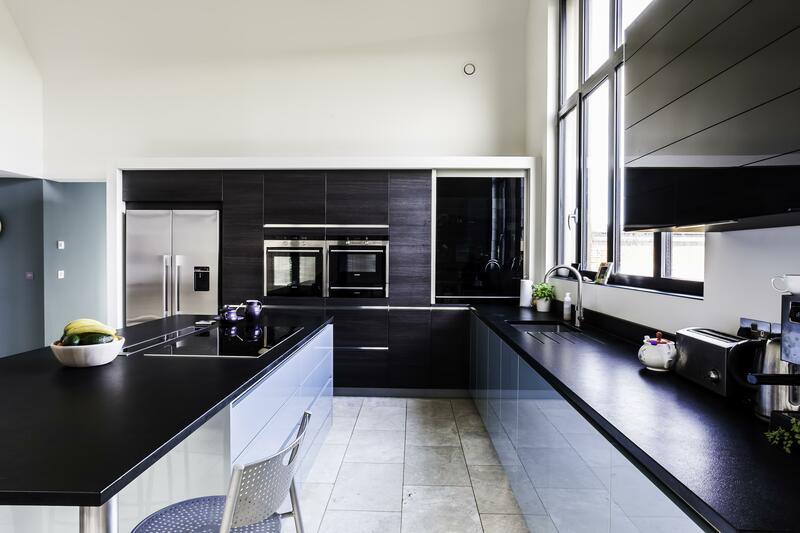 The worktop is 30mm ‘Zimbabwe’ in an antique, matt finish. 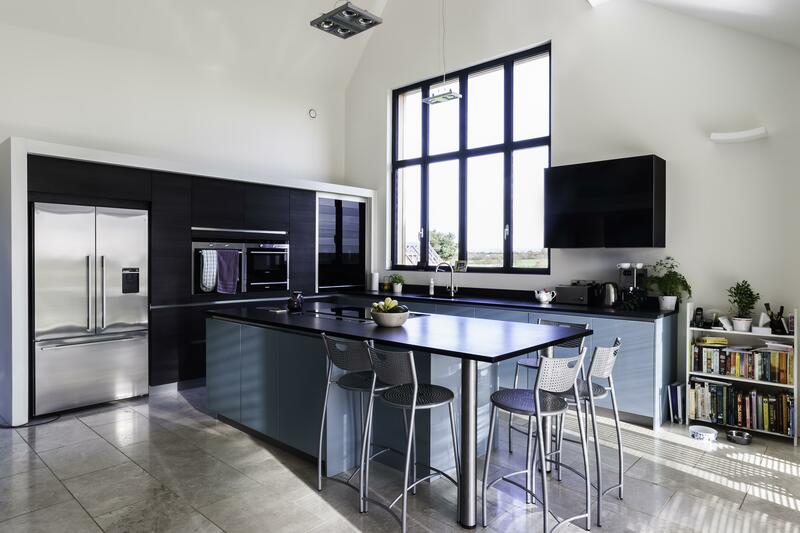 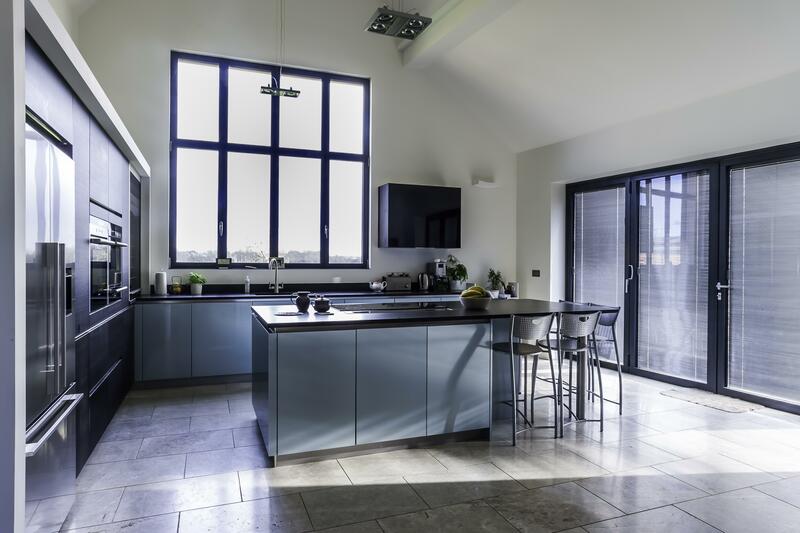 This striking black work surface contrasts against the blue whilst tying in the Terra Oak and other dark features in the room, such as the bi-fold doors. 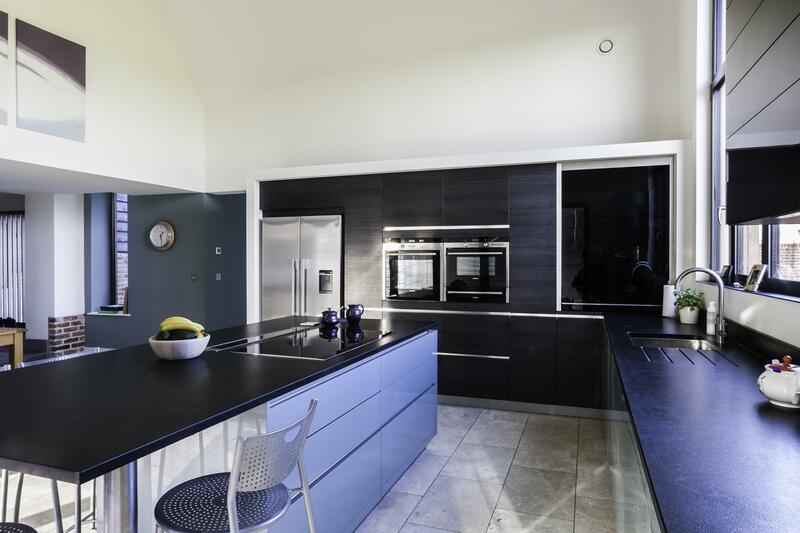 As well as providing the ‘wow’ factor, this kitchen is also extremely functional. 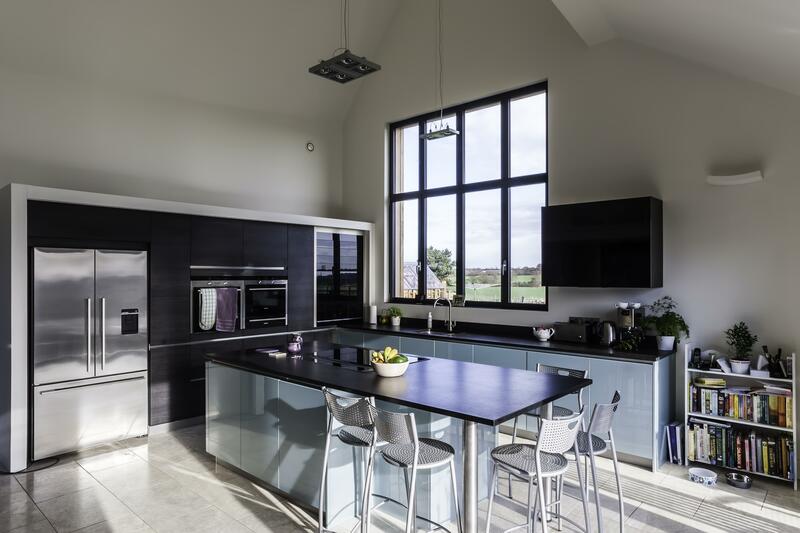 From the large island consisting of an induction hob, down draft extractor and seating area, to the long run of tall units for cooling, cooking and storage.